Intended use: Road running in low light conditions and cold/wet weather. Upper: Water repellent ripstop mesh, midfoot straos, reflective 3M panels. 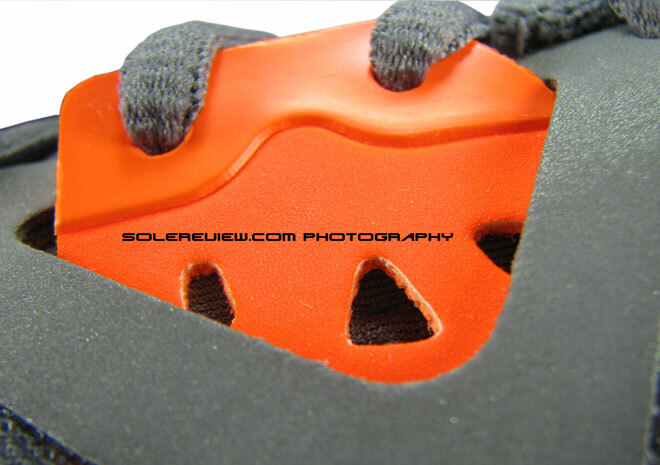 Midsole: Injection molded EVA + Lunar Foam insert. 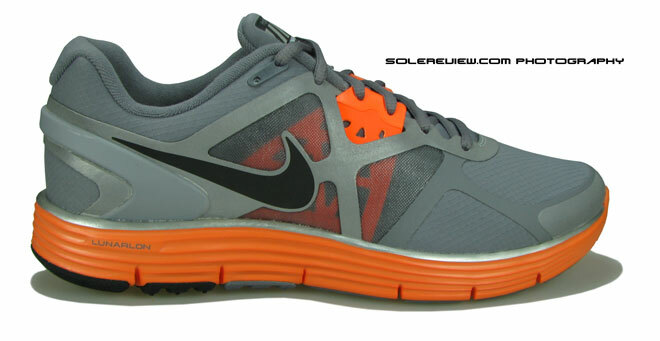 A winterized version of the impressive Lunarglide 3, great for urban visibility and inclement weather. 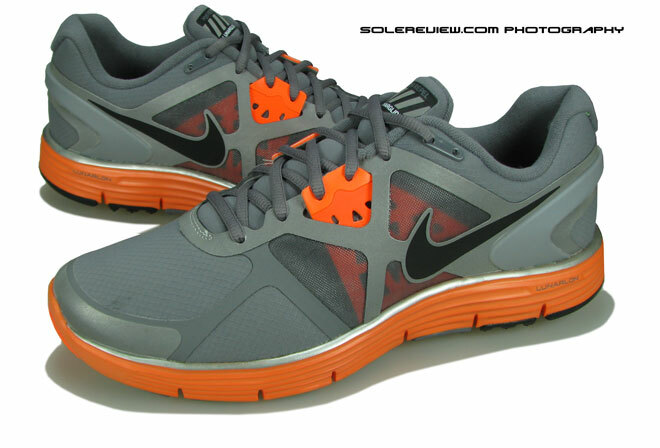 Retains all the goodness of the Lunarglide 3, but avoid if you intend to run in warmer/dry weather. It can get warm pretty quickly. When we reviewed the Nike Lunarglide 3 in Fall, the only negative we found was the complete lack of reflective bits on the upper. Two months later on, with the ‘Shield’ pack release, Nike has remedied that in more ways than one. Nike introduced the ‘Shield’ collection in early October with five shoes in special winterized editions – the Zoom Structure Triax 15, the Air Max Moto 9, Lunarswift 3, Lunarfly 2, Lunarglide 3, Free Run and the Lunareclipse. We reckoned that seven reviews would be quite a handful to finish, so we asked Nike to send us a pair of the Lunarglide 3 in its Shield avatar for our review. We were particularly impressed by the Lunarglide 3, so we were eager to check out the Lunarglide 3 Shield and see what it brought to the party. When the shoes arrived from Nike a few days later, we thought the review was going to be easy. Our initial impression was the Shield version was the original Lunarglide 3 with an updated material package so it should be the same shoe in all aspects, leave the cosmetics. At one point, we thought we’ll just put some nice photographs with some text saying that the Lunarglide 3 Shield is same as the Lunarglide 3 with a lot of reflective bits and different materials. 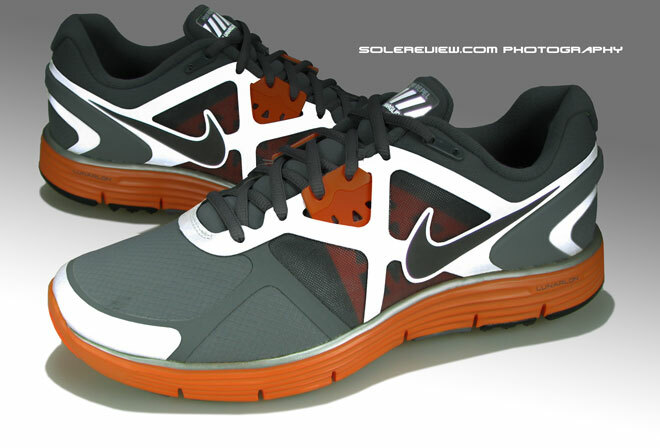 But when we ran 5k in the Lunarglide 3 Shield, it was far from being the same shoe as its original version. For an accurate like to like comparo, we laced up the original black and volt Lunarglide 3 after wear testing the Shield version and ran for another 1k. And that’s when we knew that the changes on the Nike Lunarglide Shield ran more than skin deep, and the Lunarglide 3 Shield was worthy of a full review. Two design elements make the Shield pack what it is. 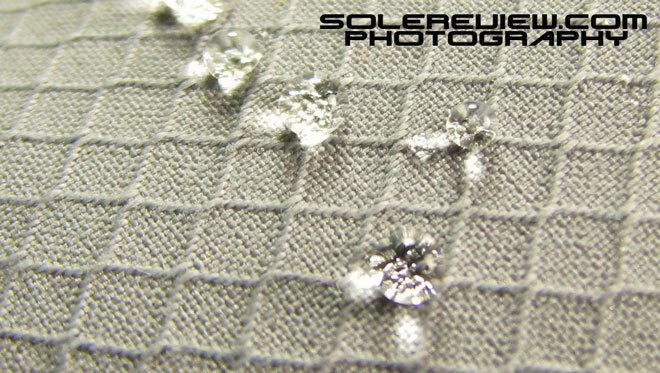 First, use of tightly woven mesh repels water to a certain extent during damp weather. Second, the generous dose of 3M reflective panels produces the ultimate urban visibility, with vehicle lights illuminating the shoe from a distance. 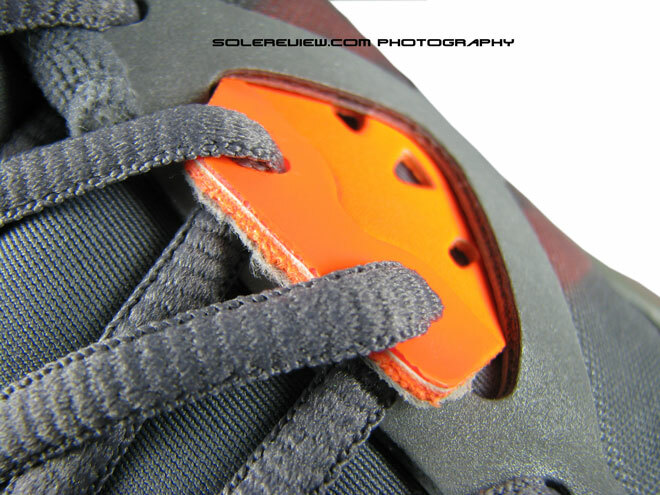 Grey is the common primary color across the Shield models, suggestive of the dark winters, with the bright orange midsole and midfoot straps tying in to the visibility theme. 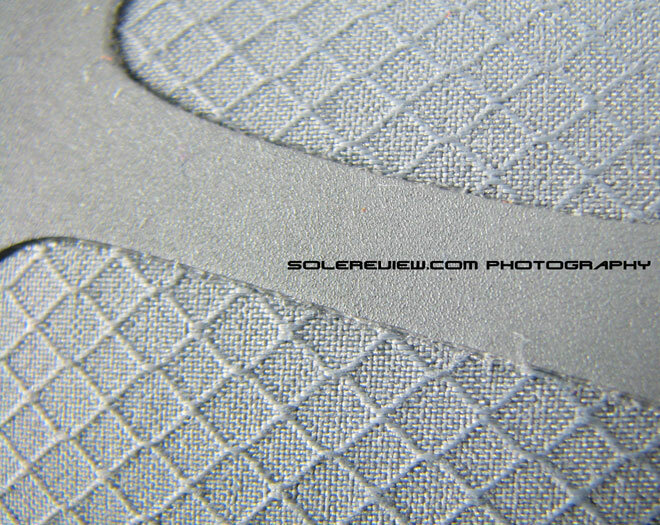 The reflective panels are all over the shoe; starting from the toe, it covers the midfoot area and then extending to the heel section. The tongue label chips in too, with reflective bars shining brightly through when you shine light at it. 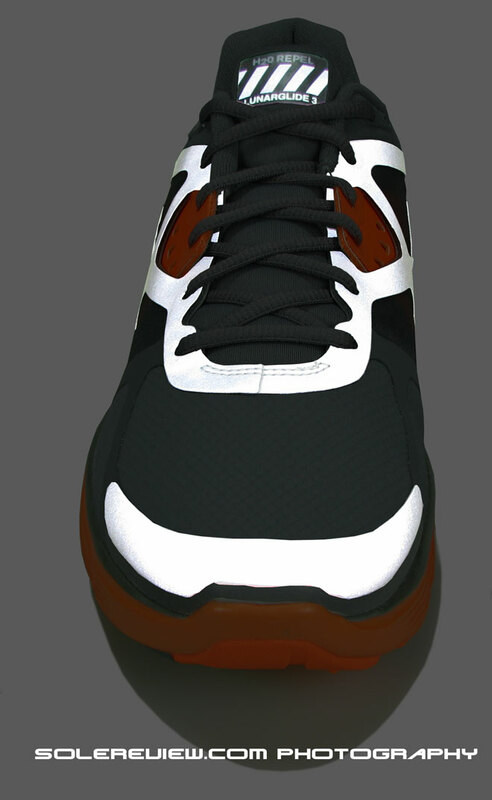 The panels are fused on the shoe upper instead of being stitched on, so it results in a clean and uncluttered look, with a touch of futuristic. 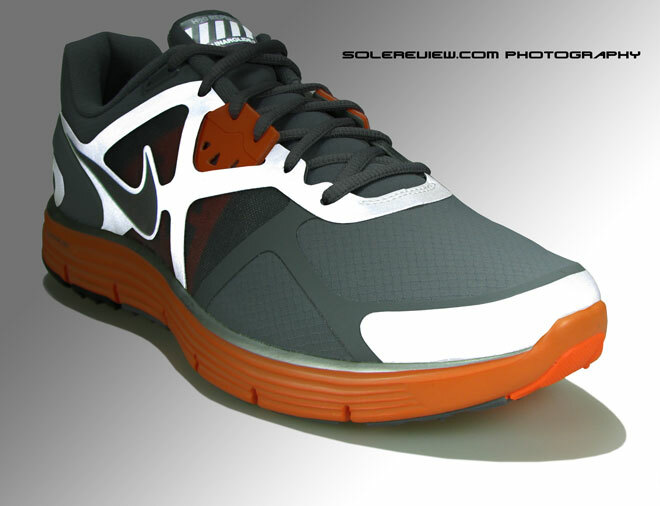 The reflectivity in the Nike Lunarglide 3 Shield works brilliantly. In ambient light, the shoe looks a regular Lunarglide in grey color, but throw a beam of light its way, and the shiny areas comes into its own. We did not see any photographs online which truly demonstrated how visible the Lunarglide 3 Shield is, so here are some ‘before’ and ‘after’ shots. It took us a whole weekend to get these photographs out, but we are pleased with the results! The second notable design feature in the Lunarglide 3 Shield is its ability to repel water, which comes through the use of specific materials. 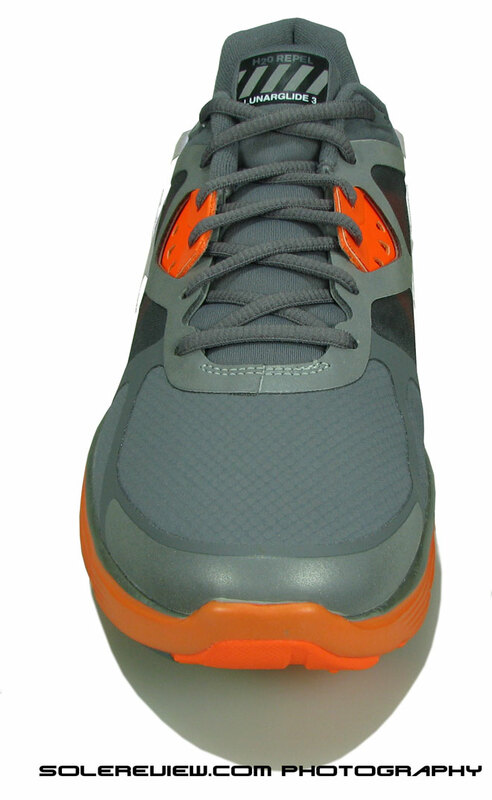 Unlike the open sandwich mesh used in the original Lunarglide 3, the Shield upper uses a combination of materials to achieve its H20 repel goal. 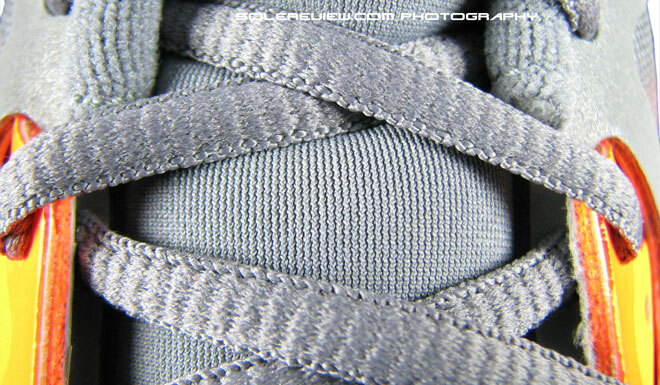 The primary mesh used on the upper is a rip-stop kind with a tight weave structure – this mesh is used in the toe and heel area, while the tongue and collar makes use of different fabrics. 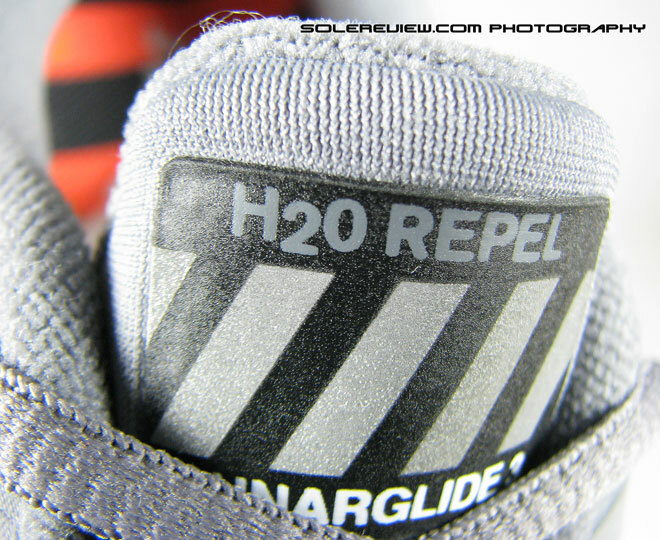 We splashed water on the upper of the Nike Lunarglide 3 Shield, and sure enough, the water beads off the upper (see pictures below). We haven’t had a chance to run in really wet weather, but we’re not sure how long your foot is going to stay dry if you run for a few kilometers in rain. 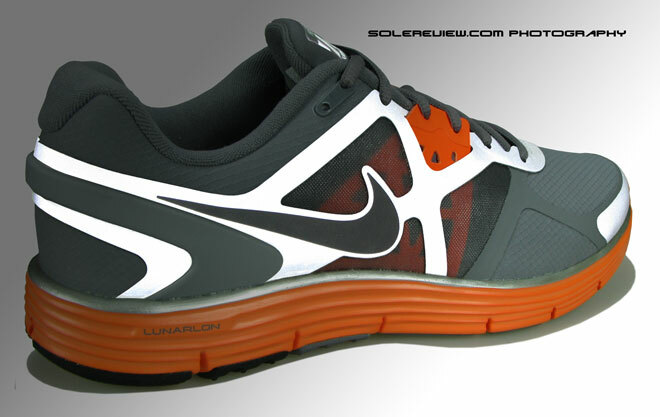 The Lunarglide 3 Shield is not to be confused with waterproof Gore-Tex lined running shoes. While the mesh will keep out moisture during a light drizzle, there is a limit to how long you can push it. 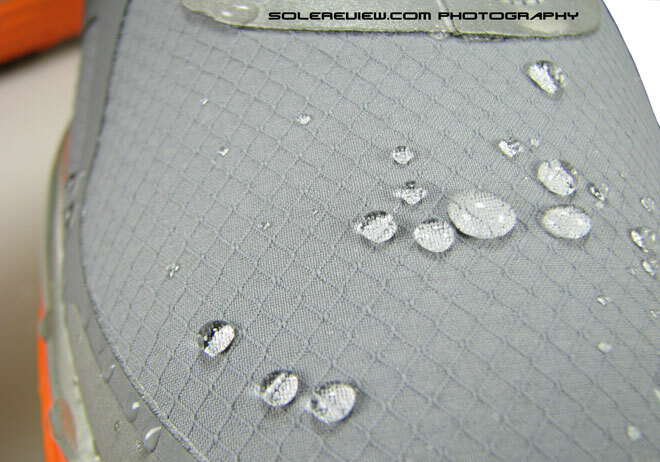 So have the right expectations when buying the Lunarglide 3 Shield – this is NOT a waterproof shoe, only water repellent. The tongue (below) uses a knit fabric resistant to absorbing water – the fused tongue(which is reflective) label calls out to the Lunarglide Shield’s H2O repel feature. We wear-tested the shoe over two consecutive days for this review. It confirmed that the shoe carries over all the goodness of the original Lunarglide+ 3, like the superb midfoot support, the responsive heel cushioning and a stable ride, but there are a few important things we’d like to call out. 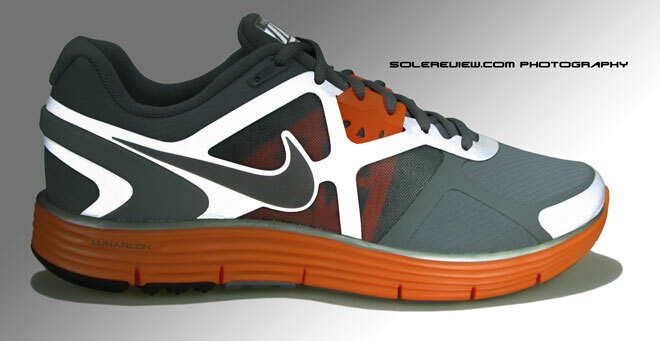 This should help you decide which version of the Lunarglide 3 you should be swiping your Visa on. We began with a pre-conceived notion that the Lunarglide 3 Shield would feel exactly the same as the Lunarglide 3 in its stock form. Just a kilometer into the run, we found that perception change drastically. For starters, the winterized treatment of the Shield version significantly impacts the way the upper feels and behaves.The fused reflective panels are firmer than the softer panels used in the stock Lunarglide 3, and it tells on the overall fit and feel of the upper. 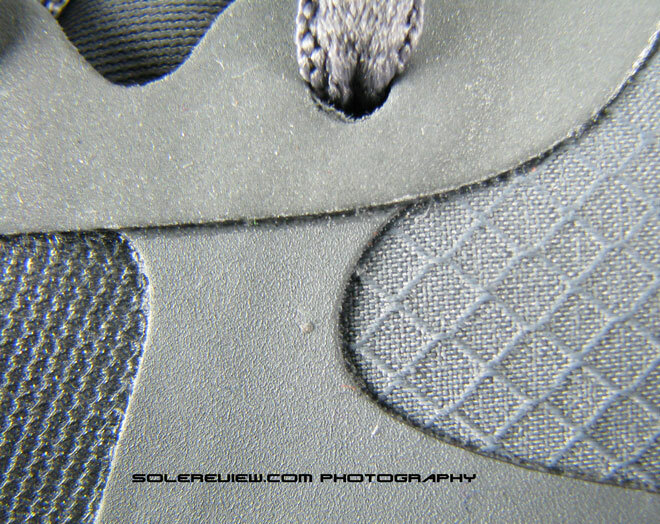 We also felt that the material overlays on the shoe added to the thickness, resulting in a stiffer feel when running. After kilometer 3, we felt the insides heating up and that was no illusion. The same mesh which keeps the water out is not breathable as regular mesh, and running in warm weather (26°C/80°F) accelerated the heating process. 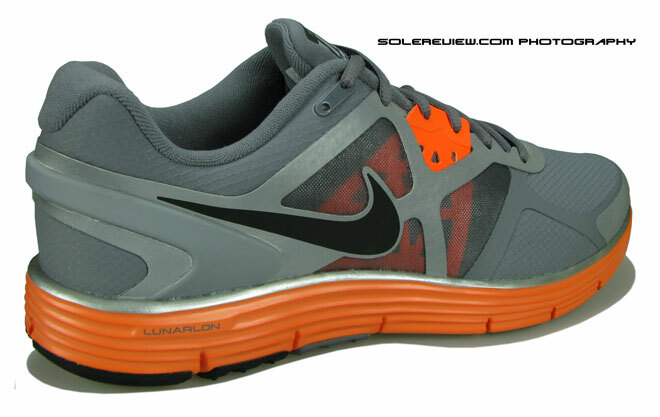 After the 5k run, we switched into the regular Lunarglide 3 and we could certainly tell the difference. The heating up business is a not a negative if you take into consideration the conditions the shoe is made for. I imagine running a 5k in rainy Oregon is a different deal than running in Asia or Down under, so can’t really blame the shoe for that. 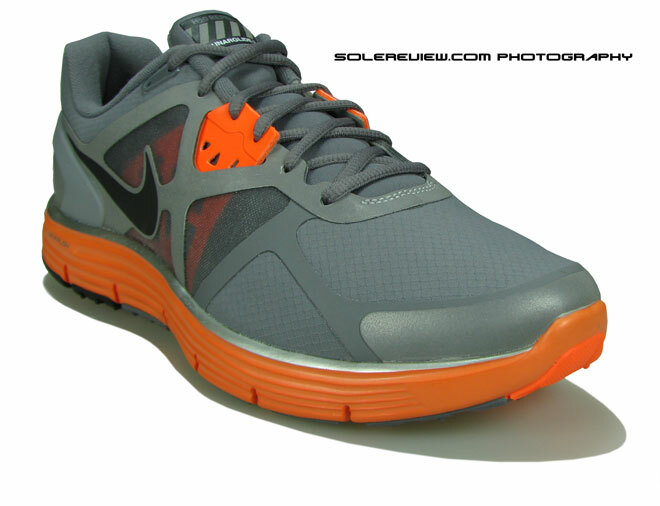 The Lunarglide 3 Shield is a competent shoe which lives up to its promise, but make sure you know what you are buying. If you are reading this from a place where the sun shines the whole day and a short run makes you burst into a sweat, we recommend that you stick to the original Lunarglide 3. On the other hand, if your idea of winter is a dreary sky and a drenched pavement, the Lunarglide+ 3 Shield’s one’s for you! Later this month, we will be testing the Lunarglide+ 3 Shield in SoCal and then in rainy Pacific Northwest (2°C/36°F), and we’ll be back with an update(around mid November) on how the shoe performs in inclement weather and freezing temperatures. There is a trade-off for all the new features found on the Lunarglide Shield. The use of the 3M Shield panels and the denser mesh contributes to additional weight – the Lunarglide 3 Shield is 40 grams heavier than the regular LG-3’s – one half pair of LG3 Shield come in at 358 grams as against 324 for the OG version (for US 11). 40 grams is a rather larger bump, and brings the LG3 Shield to Pegasus 2008 levels. This seems to be the only real drawback of the Lunarglide+ 3 Shield. The Lunarglide+ 3 Shield is a competent package, true to what its predecessor was. It checks all the right boxes, be it support, stability and cushioning, and useful extras like H2O repel and reflective 3M overlays driving a convincing bargain at a $10 up-charge over the stock Lunarglide 3. But like we said, you will bless the Lunarglide Shield if you are running in wet, cold weather. But if you soak up the miles indoors on a treadmill or outdoors in sunshine, we say that you pick the regular Lunarglide 3’s and be happy. And if you just want to look cool in a pair of Shield’s, it’s your Amex, my friend, not mine! We tested the Lunarglide 3 Shield for 6k in coastal SoCal earlier this month. This time the temperature was much lower at 6°C/43°F and the shoe did not heat up as it did in our first weartest. A few days ago, we tested the Lunarglide 3 Shield in Nike’s backyard – Portland Oregon. It was cold and damp, perfect weather for the Lunarglide 3 Shield! Finally it was home.